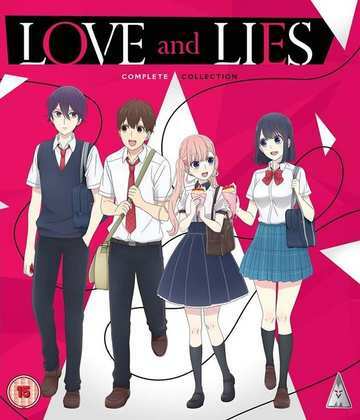 Last week was solid with anime reviews, so let’s jump straight in with the Love & Lies Collection. It’s a romantic comedy with a difference, set in an alternate history where arranged marriage is legislated by the government to maintain Japan’s population. One boy falls in love with his dream girl, to find that she feels the same way, only to learn that he’s been betrothed to someone else. You might think that this will be a heartfelt drama, the conflict between hearts and minds, law and love, but this somehow contrives to be yet another typical anime rom-com. Next it was the turn of K: Return of Kings, the second series in the franchise, following a feature film spin-off, and once more it fell to Stuart McLean to do the honours. He’s grown to appreciate the K franchise over its releases, but has run into the dilemma of deciding whether the show has improved, or whether it has just worn him down. Having experienced some of the compromises I’ve had to make on rare occasions to appreciate an art form so removed from my personal sensibilities, that’s a sentiment I can empathise with. Click on the review to see how the latest instalment of the cyberpunk gang warfare anime fares. Just when you think that a franchise is done and dusted, it rises like a vampire. Somehow they are making a third season of Code Geass, and to set the stage, they are making movies as well, beginning with three recap movies, of which we get the first one (exclusively for now). 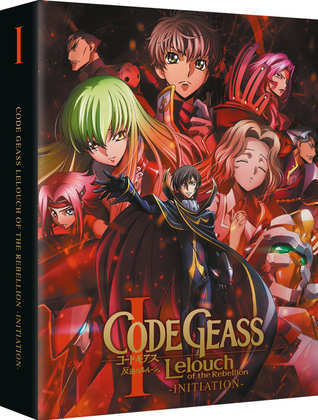 Code Geass: Lelouch of the Rebellion I – Initiation Collector's Edition retells the story of the first 17 episodes of the 50 episode series, and it has to be pretty brutal about what it leaves out to make it work. But somehow, it feels like an actual movie rather than a highlights package. Lightning does strike twice, if you’re on a high tower in a thunderstorm that is. But metaphorically speaking, when you’re talking about fantasy anime, it becomes less likely. 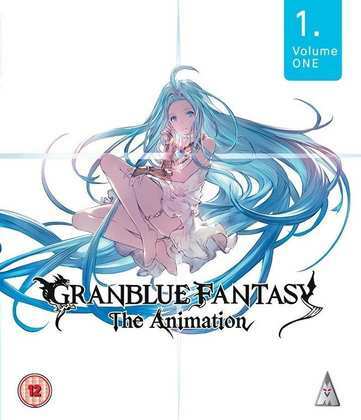 Last week I was getting excited about Grimoire of Zero, and this week we get Granblue Fantasy Part 1. A young adventurer and a mystery girl go on a quest in a world of airships and sky islands and lots of magic, and they pick up a variety of friends along the way. Based on a video game, Granblue Fantasy wears its inspirations on its sleeve, a little too obviously for my tastes. Talk about letting deceased franchises lie! I was uncertain when it came to the Code Geass movie, but when it came to Love, Chunibyo and Other Delusions! The Movie – Take On Me, I was practically expecting the worst. After all, a brilliant and complete first series was followed by a cash-in of a second series, and then the kind of compilation movie that Code Geass could have been, but thankfully wasn’t. But this film, which sees protagonists Yuta and Rikka compelled to fight for their love, reminded me of what I so liked about the first series, and it managed to give the story the kind of ending that you’d be happy to leave the franchise on. This turned out to be my best anime of the week, and a good place to end this on. Futurama Season 3. It’s so good, that for this week’s blast from the past, I stepped away from anime to indulge in a little Futurama. An unlikely pizza delivery boy gets frozen and wakes up in the 31st Century and finds himself in geek heaven. Well it’s geek heaven if you’re a fan of this show, which rejoices in sci-fi references and cameos galore. From the makers of the Simpsons, it’s easily the best thing they have done, and following cancellation after 5 seasons, it quite rightly got reprieved for two more, plus movie spin-offs. 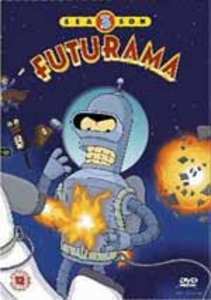 The first four seasons of Futurama were released on DVD only, and Season 3 made its UK DVD debut back in 2003. It looks like pants. Here’s my review of when it looked good, when I last watched it on a DVD player plugged into a CRT TV. These DVDs were never meant to be upscaled, and on a modern HD panel are plagued with compression and aliasing. The shows are still fun to watch, but the quality can be a distraction. While Season 5 onward is available on Blu-ray, these first four seasons desperately need a remastered release. MVM released Love and Lies on Blu-ray on 5th November, while they released Granblue Fantasy Part 1 on Blu-ray on the 12th. 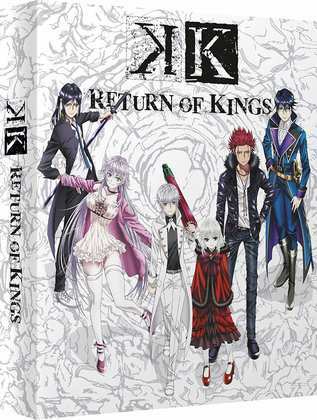 All the Anime released K: Return of Kings on Collector’s and Standard Blu-ray and on DVD on 29th October, while Code Geass was a Zavvi and All the Anime Collector’s Blu-ray exclusive released on the 26th November. 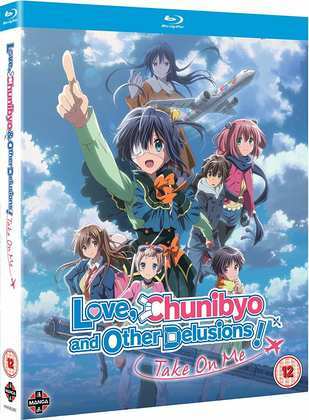 Manga Entertainment will release Love, Chunibyo and Other Delusions! The Movie – Take On Me on Blu-ray and on DVD on the 10th of December.